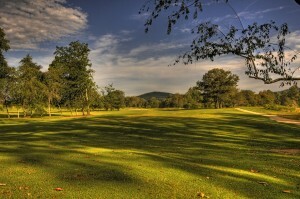 Old Union is an 18-hole par 72 course designed by Denis Griffiths with every golfer in mind. From the beginners to the pros everyone will enjoy their round of golf at Old Union. The 7,500 yard course will test the best of players with the consummate challenge serious golfers are expecting, while providing the practice that beginners need. Old Union includes a comprehensive practice range that caters to golfers of all skills, especially to beginning and young golfers. The core golf course of the Owen Glen community is especially unique in today’s development market offering breathtaking views throughout the entire 235-acres with a minimum of golf front homes to make it more of a pure golf experience. Along with the beautiful course, the clubhouse will feature a pro shop, grille, fitness center and meeting room. It will provide the perfect gathering spot for residents of Owen Glen to get together with their friends and family. A community pool and tennis will also be available. While all residents do not have to purchase a golf membership, they will all be social members which allow them access to the pool, fitness center, meeting room and tennis. Garland Reynolds is designing the clubhouse and construction is scheduled to begin in early 2009. In addition, Ivy Log Creek provides residents with the opportunity to take part in a popular local activity, trout fishing. Away from the hustle and bustle of city life, residents at Owen Glen will enjoy a relaxing, laidback lifestyle that can only be found in a mountain community. Union County boasts an array of local shops and restaurants that offer a unique opportunity to residents and tourists. The area is perfect for those who enjoy the great outdoors. Lake Nottely is a 4,400 acre lake with more than 100 miles of shoreline and is the ideal setting for trout fishing, boating, swimming, picnicking and camping. For those looking to stay on dry land, the mountains provide unlimited adventures for hikers and mountain bikers of all ages. The Appalachian Trail is accessible at several points within Union County offering endless opportunities for day hikers as well as those hiking from Georgia to Maine.